Bharti Airtel (Airtel), India’s leading telecommunications service provider, today announced the availability of the all-new Vivo V11 Pro on its Online Store at an affordable down payment of just INR 4,299. The V11 Pro sets new industry benchmarks with its In-Display Fingerprint Technology, new Halo FullView™ Display and AI powered dual pixel sensor camera. 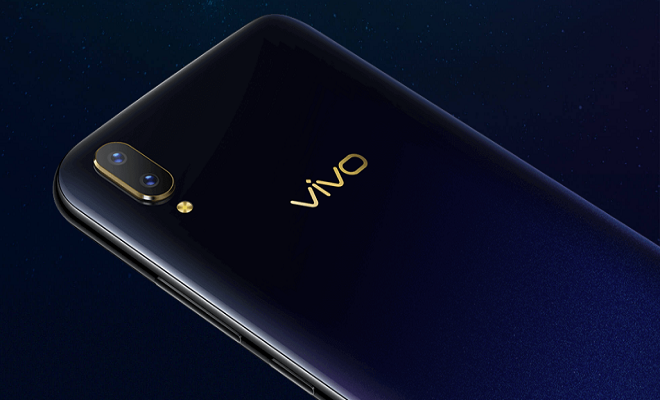 The V11 Pro is the first in the V series to incorporate In-Display Fingerprint Scanning Technology, continuing Vivo’s technology leadership in biometric security, while maintaining a sleek and stylish design. Log on to www.airtel.in/onlinestore. Select the Vivo V11 Pro from the device list. Airtel Online Store is an innovative digital platform launched by Airtel in October 2017 as part of Project Next – Airtel’s digital innovation program aimed at transforming customer experience across all of its services and touch points. With this, Airtel has over 30 premium smart devices on its Online Store including Samsung Galaxy Note9, Samsung Galaxy S9, Samsung Galaxy S9+, Samsung Galaxy S8, Samsung Galaxy S8+, Samsung Galaxy A8+, Samsung Galaxy C9 Pro, Samsung Galaxy Note 8, iPhone 6, iPhone 6s, iPhone 6s Plus, iPhone 7, iPhone 7 Plus, iPhone 8, iPhone 8 Plus, iPhone X, Apple Watch, Google Pixel, Google Pixel 2, Google Pixel 2XL, Nokia 8 Sirocco, Nokia 7 Plus, Nokia 6.1 and OPPO F9 Pro.